Austin Skin Plus | Keep Your Skin Fit! As I mentioned at the end of my last blog, I will be competing in an Ironman race soon! All the exercising I have been doing to train and prepare my body has got me thinking a lot about how exercise affects our skin. 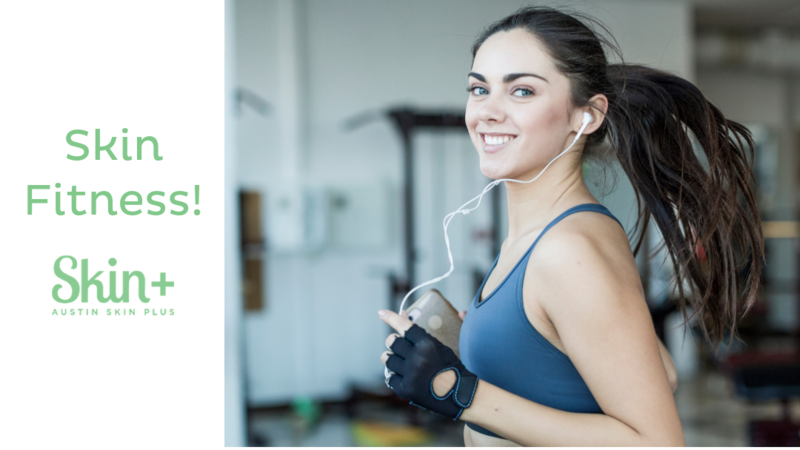 As important as prepping your skin for exercise is, I feel that it is rarely talked about, so this week we are going to focus on how to keep your body fit while also keeping your skin gorgeous and glowing. Tone your skin with an alcohol-free toner, Our Aloe H20 is perfect(the toner will help to absorb more of the moisturizer and lock it in so your skin will stay soft and hydrated). If you are working out outside be sure to apply sunscreen, one like our UVSilk40™ will not run and sting your eyes. A good work out will get you sweating and that can cause the release of dirt and bacteria onto the surface of the skin, and if you are acne prone, this environment can cause breakouts. So, post work out it is best to wash with a gentle cleanser, tone, and moisturize (don’t forget to apply sunscreen if the sun is still out!). Working out is a wonderful thing for the mind, body, skin, and soul, so if you have been feeling like sweat is causing a breakout…it just might be your makeup. And if removing your makeup prior to exercise isn’t an option for you, consider wearing a mineral-based powder which is sweat resistant and won’t clog your pores. Don’t stop pushing yourself in the gym because of a breakout or a bad reaction. If anything, change your skincare routine and see if that helps! You can also visit me at Austin Skin Plus to create a custom skincare regimen tailored to you!